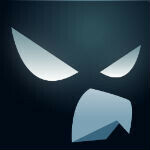 Falcon Pro is one of the more popular Twitter apps for Android, and it shows. The app hit the newly imposed Twitter token limit a while back, and was forced to raise the price in the Google Play Store to dissuade users from trying to join. Ultimately, the tokens were reset, but the app hit its token limit again yesterday. As a result, developer Joaquim Vergès has pulled the app completely from the Play Store, and he reset the tokens again yesterday. But, the limit has already been reached, leaving a number of users in the lurch because they missed the reset and didn't update and login in time (we were included in that). But Vergès has an answer for that as well, and is offering up an APK that can be sideloaded and used even though the token limit has been reached. It looks like Falcon Pro is too popular to avoid hitting the 100,000 token limit, so we're really hoping that Twitter will work with Vergès to remove the limit and let him proceed. That might not be too likely though, because Twitter wants to limit the new apps that compete directly with its own. why would twitter care which app people are using to access their service?